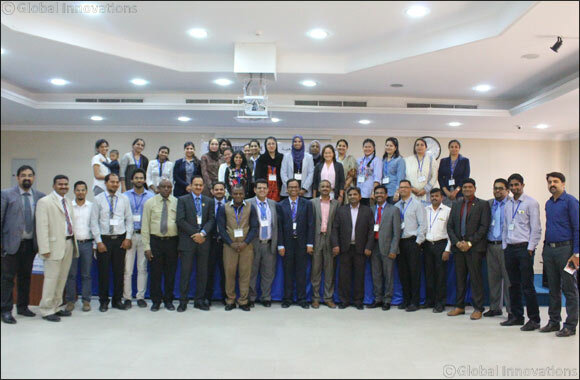 Dubai, UAE, June 15, 2017: Skyline University College Library Department and Nexuslib have successfully organized the first Regional Workshop on “Open Source in Technologies for Libraries” on May 24, 2017, at SUC Multi-Purpose Hall. The Chief Guest of the event was Ms. Sara Al Marzouqui, Sharjah Public Library Manager-Sharjah Book Authority. SUC Quality Assurance Head and Professor Dr. Sudhakar Kota and Head of Academics and Associate Professor Dr. Mohammad Hasan Saleh Inairat were present in the event to welcome all participants. SUC Associate Professor Dr. Riktesh Srivastava opened the session with his talk on Trends of Open Source Software while Nexuslib Business Head, Mr. Syed Mazhar talked about D-Space Open Source Repository System and KOHA Library Management System with RFID Integration for the technical session. SUC Dean Dr. Amitabh Upadhya expressed his gratitude for the participation of various librarians in the UAE and has personally awarded certificates to all participants in his speech. The Regional Workshop on “Open Source in Technologies for Libraries” is an initiative of SUC Library Department headed by Mr. Sheikh Maideen.